The Garda Representative Association has claimed it would be wrong to “smear” individual gardaí over shortcomings in youth crime policing because the problems were caused by a lack of resources. The association is seeking an urgent meeting with Garda Commissioner Drew Harris to discuss the “effective operation” of what it described as the “invaluable” Garda youth diversion programme. It emerged this week that in the period from 2010 to 2017, a total of 7,894 criminal offences committed by 3,489 child suspects were not progressed because of “Garda inaction”. While their cases should have be gone back into the justice system, for prosecution, they did not. Instead they lapsed in the system. To date, 57 have died and the Policing Authority has said some would be alive had appropriate interventions been made. Some 3,400 gardaí were involved in the cases and the prospect of some being disciplined is being considered. The GRA said it would be unfair to single out gardaí. It said the problems had arisen because of the “absence of co-ordinated training, allied to inadequate supervisory management systems” and technology. 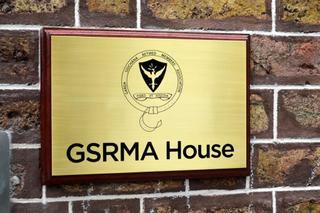 However, the GRA acknowledged that what had happened was wrong and should not have happened.